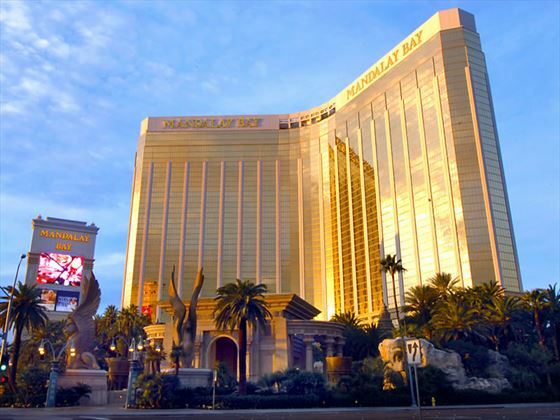 Located at the south end of the Strip, THEhotel at Mandalay Bay is a magnificent hotel affording guests a haven of sophistication, unparalleled service and understated luxury. 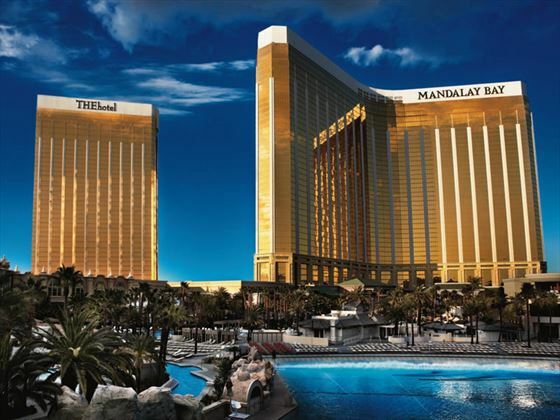 With elegantly appointed suites, stylish lobby areas, a shark-themed aquarium, a 135,000 square-foot casino, and the ultimate in entertainment, dining and nightlife, Mandalay Bay is the perfect resort for an unforgettable stay in Las Vegas. 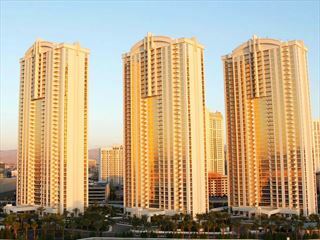 You'll find this extravagant hotel at the south end of the Strip in Las Vegas. Upscale amenity package which includes shampoo, conditioner, lotion, mouthwash and Oatmeal soap. Whether its dining alfresco 400 feet above the Strip or a late night snack, Mandalay Bay offers the best restaurants in Las Vegas, no matter when or what you’re looking for. Simple elegance defines the elite bathhouse spa. The healing, cleansing and rejuvenation qualities of water, the elixir of life, is highlighted through pools of varying temperatures, exotic baths, and a flowing waterfall. Mandalay Bay offers a select group of shops for your browsing pleasure. From postcards, souvenirs t-shirts and resort wear, to aquatic treasures from the Shark Reef, you’ll find something that will always remind you of your stay at Mandalay. Please note that there is a resort fee of $37 per room per night payable locally. One of the most well-known and iconic of the Las Vegas hotels, everything in Caesars Palace has been created with an ancient Rome theme and on a grand scale. Centrally located on the west side of The Strip.